For those of us in charge of ad spend, we know there’s a lot of data to dig through - Google Adwords, DoubleClick, Facebook, LinkedIn, Bing, TubeMogul, Brightroll, etc. At any given time, you have dozens of ad campaigns running, all of which generate hundreds of thousands of events left to be analyzed and ROI to be proven. Trying to make sense of all your data and attribute every channel’s impact to your marketing funnel can seem like an impossible task. Join us as Robert Pettee, Co-Founder of Digital Mouth Advertising, and Craig Vigor, Business Value Consultant, talk us through how to connect, properly track and prove the ROI of your digital advertising campaigns. Craig and Robert will discuss how you can filter through the noise to find informative and meaningful metrics to help optimize and grow your campaigns. 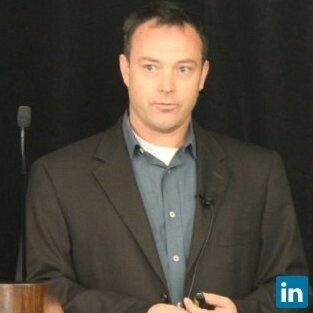 Craig has worked in Data Analytics for nearly 20 years, from BI software companies like Business Objects, Birst, Talend to consulting firms. He brings a wealth of experience from top to bottom of the 'stack' and focuses on helping organizations improve the value they get out of their data and analytics initiatives. Robert has extensive experience working in SEM, SEO, CPC and CPM (display and text) advertising across multiple business verticals. As Co-Founder of Digital Mouth Advertising, Robert's experience in direct-response marketing initiatives, partnership management, ad optimization, web site optimization, conversion funnel analysis and reporting helps him understand and grow his client's digital presence.